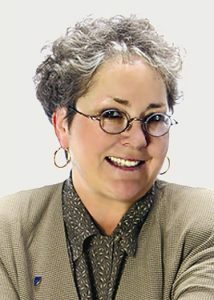 Licensed in Oregon for 36 years now, Carlene is dedicated to excellence in client service to both buyers and sellers. Specializing in residential sales and bed & breakfast properties, she is known for her integrity. Her background before real estate was in the legal field and court system, giving her a fine appreciation for attention to detail-much needed in today’s ever-changing real estate market. Carlene holds the Realtor designations of Certified Residential Specialist (CRS), Accredited Buyer’s Representative (ABR), Graduate Realtors Institute (GRI) and holds the At Home with Diversity certificate. Having been extremely active in both the local and state Realtor community for many years, she has been recognized with many honors: Realtor Image Award, Public Service Award, Distinguished Service Award and was twice named as Realtor of the Year. Leisure activities for Carlene include downhill skiing, decorating, haunting antique and gourmet shops, international travel and cooking/candy making. Her specialty is her holiday time “not-quite-yet-world-famous-shortbread”.